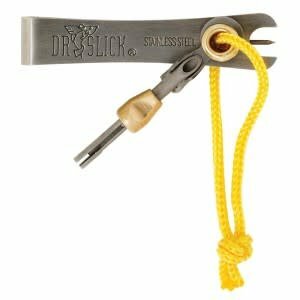 Nipper w/Pin, File & Knot Tyer-Silver - Tight Lines Fly Fishing Co. Revolutionary design makes tying the nail knot a cinch. Perfect for attaching backing or leader to your fly line. Don’t fear the knot!